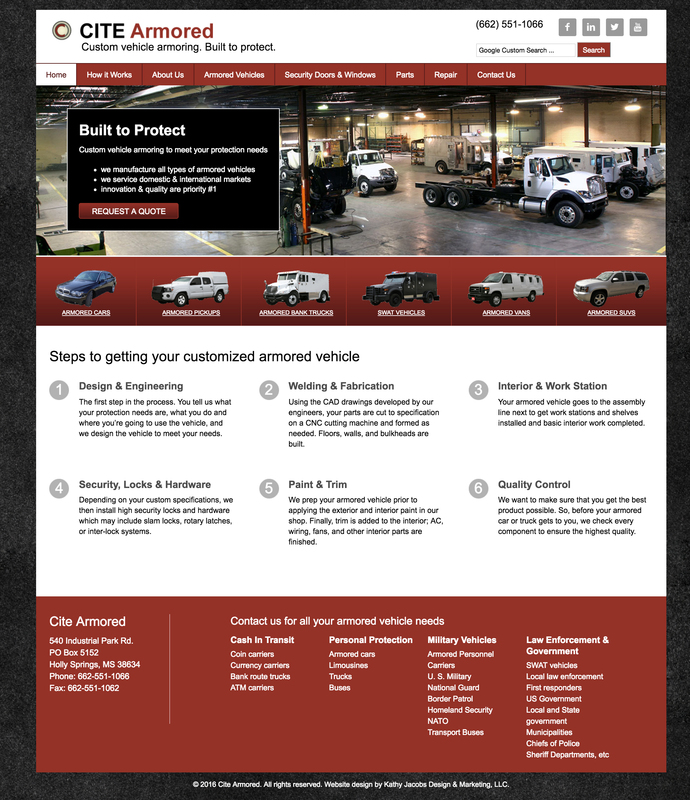 CITE Armored is a business in Holly Springs, Mississippi, that manufactures armored vehicles. Their website promotes their process, the vehicles they offer, and the options available. We interviewed staff and performed research to learn about the business and the manufacturing process before starting to work on the website.